Today is Easter Sunday for those that celebrate this chocolate candy holiday. The first two teams to face off in the NCAA Final Four of March Madness are Villanova and Oklahoma. The other two teams will be decided today with the early game scheduled to be Virginia versus Syracuse and the later game will be Notre Dame playing against North Carolina. It appears as though Mike Krzyzewski’s Duke Blue Devil’s did not make it through the Sweet 16 round this year. Starting off this review of the best mixtapes currently out is a release that is sub-titled “Hot Off The Press”. 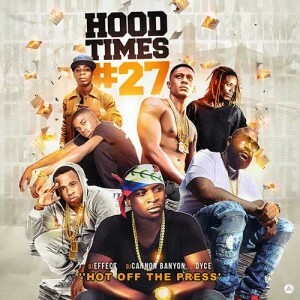 DJs Cannon Banyon, Effect, and Dyce are back to bring you the 27th edition in the “Hood Times” franchise. This product plays you new songs from O.T. 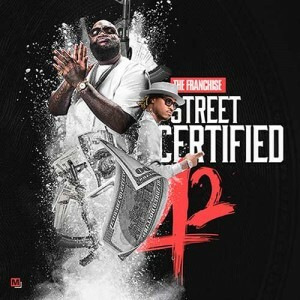 Genasis, Plies, Young Dolph, Rick Ross, Future, Yo Gotti, Mi5ta, Lil Wayne, Just Rich Gates, Young Buck, Mo Beatz, Fetty Wap, Kanye West, Reezie Roc, 50 Cent, and other top street emcees. 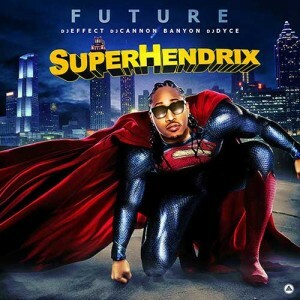 The product labeled “SuperHendrix” gives fans of the southern rapper Future some of his best free mp3 downloads to date. Guest appearances on this drop include Dej Loaf, A$AP Ferg, Lil Bibby, Jadakiss, Wiz Khalifa, Kid Ink, Rick Ross, Boosie Badazz, Jeezy, Timbaland, Tink, Ralo, Chris Brown, The Weeknd, Miguel, and other well-known acts on this all-star lineup. This 19 song playlist will hype up the party wherever you’re at. J. Armz drops a series of mixtapes for the month of March. 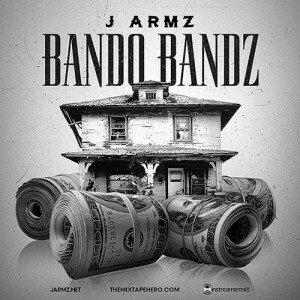 One of the releases titled “Bando Bandz” contains some of the best down south tracks out on the streets right now. You will find some popular artists on this release along with some that you may not have heard about, but are still nice on the mic. Check out free music downloads by Pusha T, Future, Baauer, iLoveMakonnen, Tunji Ige, Gold D’s, Lil Uzi Vert, Zona Man, Shy Glizzy, Cool Amerika, Cmore Stacks, Young Buck, Bagstheboss, Lil Keke, Trick Daddy, Akon, Solo Lucci, and many more on this 24 song playlist. Mr. 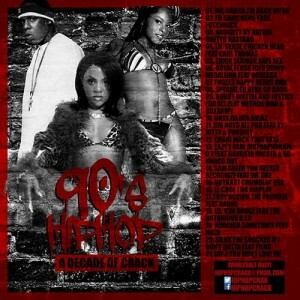 Crack returns to bring you a flashback from the golden-era of hip hop with the release titled “90’s Hip Hop: A Decade Of Crack”. The “March 2K16 Edition” contains vintage records from Naughty By Nature, Lil Cease, Royal Flush, Fugees, Special Ed, Big Noyd, Craig Mack, Eazy-E, Lil Kim, Sam Sneed, Outkast, LL Cool J, Jay-Z, Silkk Tha Shocker, Onyx, Foxy Brown, and other classic rap artists. This DJ doesn’t play the same old popular tracks, but he will select records that deserve the same rotation. Use the search engine on our site to bring up all of Mr. Crack’s mixtapes. The last product to be reviewed in this blog post is the 42nd edition of the series called “Street Certified”. The Franchise is behind this release with a 17-track playlist on this drop. Artists to look for on this installment such as Nas, Bankroll Fresh, Lil Durk, Slim Jesus, Future, Lil Dave, 50 Cent, Rick Ross, Pusha T, Jeezy, 2 Chainz, and Wiz Khalifa. That will conclude this edition of music reviews from the most popular in free mp3 download sites. We hope everyone enjoys their holiday weekend with family and loved ones. Warm weather is on it’s way for the northern hemisphere of the planet, so be sure to check back often for new songs to enjoy while your outdoors working up a sweat.